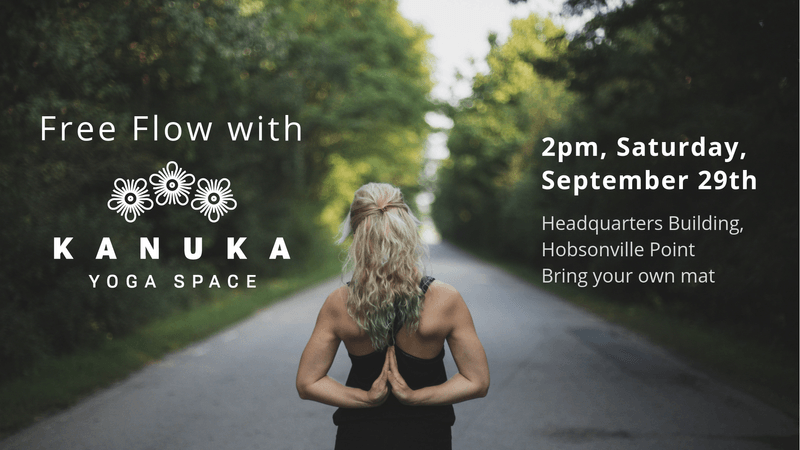 Kanuka Yoga Space - Hobsonville's newest and only yoga studio is opening mid-November, 2018. In the meantime, we're providing a free class for the local community at the Headquarters Building in Hobsonville Point. Yoga style will be gentle and slow. Meet some of the potential teachers, learn about the different styles of yoga and give Kanuka Yoga some feedback - what would you like to see in your local yoga studio? The class will be suitable to all ages and skill levels - move at your own pace. Kanuka Yoga Space - Breath. Movement. Mindfulness.